Please contact us today for a personalized estimate! Affordable home and lawn care! 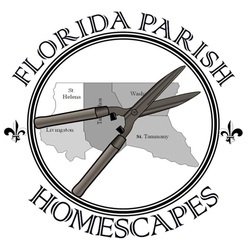 Any lawn service company can mow grass, but not all companies offer the value that Florida Parish Home Repair and Landscape provides you. Our work is not limited to mowing grass, mulching flowerbeds and raking leaves. We are a fully licensed service company that can diagnose and treat diseases, systematically eradicate weeds from your turf, and keep flowerbeds free of weeds all year long. We also specialize in residential and commercial sprinkler system repair and installation, fountains, patios, and much more. Reliability and quality of work is what you receive when you sign up for our services. We know you will be satisfied with our work, as we pay close attention to detail to deliver a quality service every time. We offer complete all-inclusive packages that will meet your landscaping and lawn care needs, keeping your home looking its best throughout the year.